Among the very best, fabulous residence in Castlegate II. 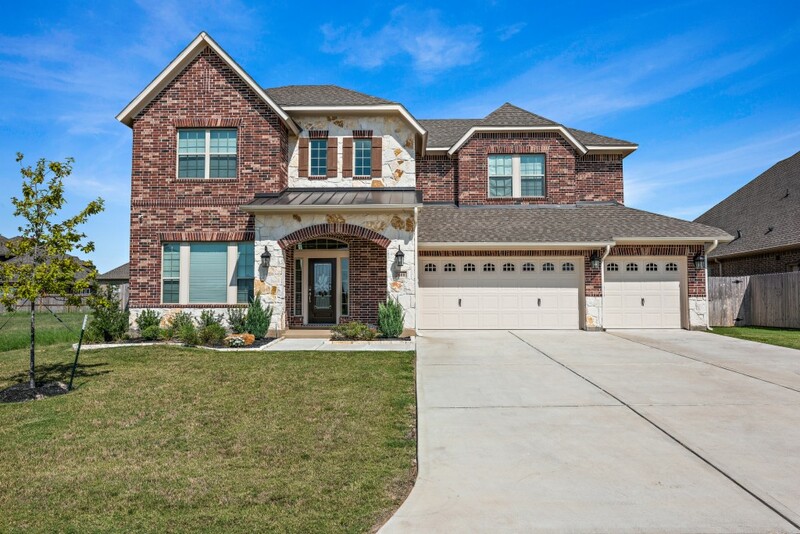 Like-new home, built just last year by David Weekley, features wonderful style and many upgrades. An enviable floorplan with smart separation of spaces provides comfort and privacy, plus easy-flow entertaining. Rooms are large and airy, with high ceilings and windows. Stunning 5 bedroom, 4.5 bathroom home has two living areas, private office, chef's kitchen with oversized island and breakfast room, plus a formal dining room. Backyard features large patio with outdoor kitchen and plenty of room for a pool on a 0.25 acre lot. Schedule a showing soon to see all the beautiful details this home has to offer.